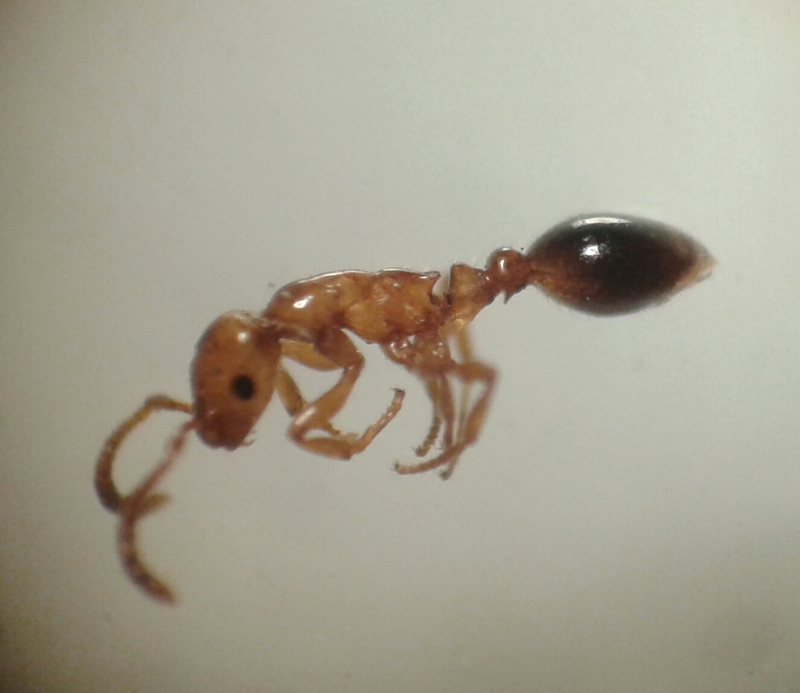 The shining guest ant (Formicoxenus nitidulus) is threatened with extinction according to the Flemish red list. Our observation of this species in Zoersel is the third in Flanders. These small ants (2-3 mm) are only found in and around nests of their hosts: red wood ants. Since red wood ants (of which 4 species occur in Belgium) are already relatively rare and protected, their guests suffer the same fate. The IUCN (International Union for Conservation of Nature) marks the shining guest ant as Vulnerable. A typical and easily recognisable trait (when using a microscope) is a small forward-pointing spine on the underside of the second node of the abdomen (post-petiole).